Delhi - Moradabad - Sitapur - Lucknow : Road Review - Ghumakkar - Inspiring travel experiences. After the successful post on Delhi-Agra-Kanpur-Lucknow road review by Aditya, a strong need was felt on having a review of the other road which connects Delhi to Lucknow. In fact there were so many comment on Aditya’s post where people wanted to know about the other road viz. NH24. If two were not enough, there is one more highway which connects Delhi to Lucknow, the one which passes through Aligarh, Kannauj etc. I guess thats the old real G T Road. When I get an opportunity to travel there, I would come back and write a small note. I guess, I should at least drive to Aligarh and visit AMU sometime. Anway, so about two weeks back, I drove till Maigalganj (40 odd KM ahead of Shahjahanpur) on the way to Lakhimpur. I didn’t intend to write this post since I have not really done the complete stretch but I met Aditya the other day and he convinced me that it still makes lot of sense to do a small review. For the remaining stretch, he promised me to get inputs from other people so here it is. Delhi is connected to Lucknow via the National Highway – 24 and here is a snapshot of its path. As with my all road-reviews, we can divide this stretch into following sections. Distance – Depends on where you start. Lets take Connaught Place as central point then it would be 20 KM. Driving Time – Depends. From CP it would be 40 odd minutes. 30 minutes in early morning. NH24 goes towards East and the relevant border is called ‘Ghazipur’. Unless you are in East Delhi, you would need to cross the Yamuna river. If you take ‘Nizamuddin Bridge’ then you just need to keep straight. Road quality is very good. The drive gets slow as you pass through some of the trade-tax points but overall clean. Now onwards, I am taking distance from Delhi Border which is Ghazipur. These are not accurate distances but pretty close. The road from Ghaziabad to Hapur-Bypass is probably the best road to drive in this whole stretch. Primarily because its a end-to-end double road with no big towns in between and second because of the quality of tar. You can easily do an avg of 55-60 KM an hour on this stretch. There is a toll of Rs 10 at ‘Kali Nadi’. Its a small bridge over a rivulet. I still remember that on those early trips to Corbett, about 6-8 years back, we would hop on to old bridge which was not maintained but nonetheless functional and would save the toll. And as we would pass the old-bridge, we will look at the toll guys, felling triumphant. Over time the toll guys dig up holes on the old bridge so that they can catch suspecting customers like me as well. It was a single road then. 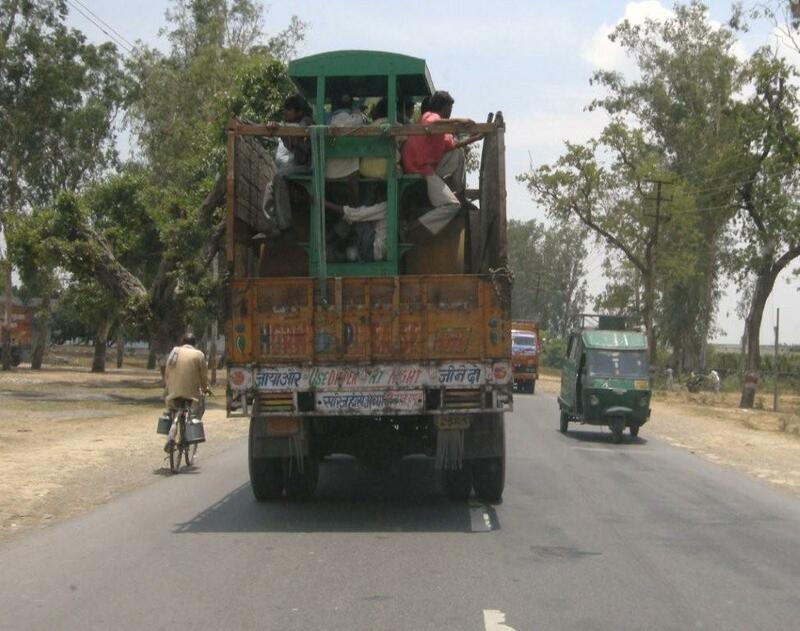 Hapur bypass – Gajraula is problematic. Most of this section is being converted into double road so lots of construction going on. And if there is a festival then you might find a massive jam at garh-mukteshwar. Thats the closest one can get ‘Ganga’ and hence the obvious reason for any congregation. So avoid full-moons, any festivals which entails a holy dip. You can refer this online Hindu Calendar. I think Poornmia (Full Moon) mornings as well as Amavasya are to be avoided. I am a little challenged on this aspect so would appreciate any feedback on which days are auspicious for ganga-snan. Gajraula – Moradabad bypass is good and bad. Good because the new double road is really well made and one can zip fast w/o worry but bad because its not completely done. There are many small kasbas/villages/towns and the plan is to have a fly-over at each of these places, the reality is that these flyovers are not done. So you get on to a good road, pick 120-130 KMph, go for a while, then you taper down to a small alley (along side being-made flyover), and then it again starts. Hopefully it would be done before this monsoon else wait till Christmas. 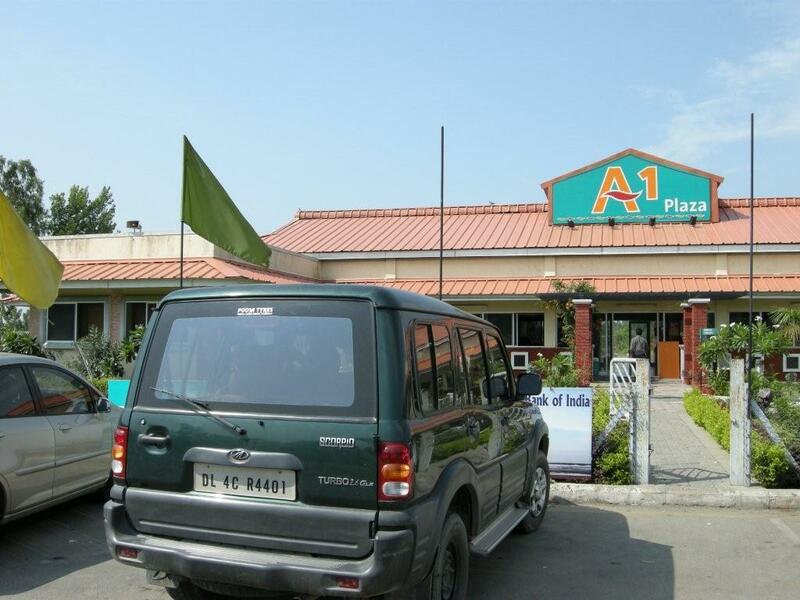 There is an A1 plaza on the left before Moradabad. There is also a restaurant at a BP Pump called ‘Tadka’. Gajraula also hosts the famous ‘Bhajan Dhaba’, ‘Gyani Dhaba’ but these are very crowded. I would suggest to stop at either A1 Plaza or Tadka. Post moradabad, its a single road. I didn’t see any work happening on either the widening of the single road for making it double. Interestingly the road quality is pretty good. Rampur is not a very big town and you pass through their main market. You can also look at the old heritage railway station and some of the other old buildings. A decent place to stock up the supplies of munchies and other things. As you get past Rampur, you would see an exit for ‘Bilaspur’ which further goes to Nainital. 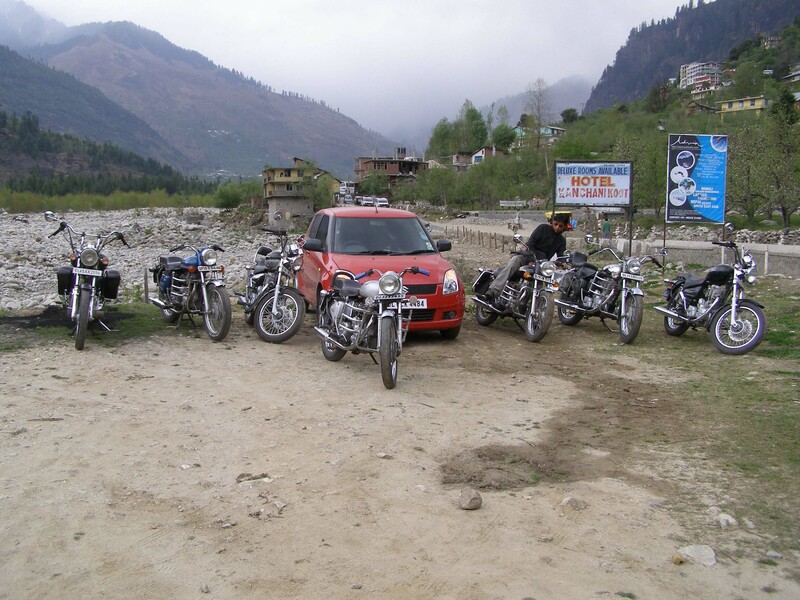 If you are coming from Delhi, you dont need to come this far to go to Nainital, you can just take a U turn from Moradabad and take Moradabad – Bazpur – Kaladhungi road. Anway, after Rampur, just keep yourself on NH24 and the next big town is Bareilly. You have to pass through Bareily which can get a little unnerving, so there is no bypass. But once you are out of Bareilly, you would suddenly notice that the traffic has gone much low. One reason could be that Delhi-Rampur has no alternates and it connects Delhi and beyond with hills where as Delhi-Lucknow has a better alternate (NH2). Also the train connections are good. The other reason could be that I haven’t experienced enough so it may be a case of one particular day. Shahjahanpur has a bypass sort and you can avoid the long town. You would get some double roads. Very good tar. Just keep driving. This is something where I have not personally driven. The information which I have is that this road is a in decent condition. So thats about it for the drive. Since you have read this far, you deserve a bonus pic. This was just before Bareily. If you look hard, you would see there are gentleman all over the road-roller. What an apt pic for a road-review post (of a road roller). delhi to rampur(190kms) -early morning ,afternoon & night- 2 &1/2 hrs.sitapur to lko(90kms)-anytime-1 hr.rampur to sitapur(230kms)-5 hrs.also avoid night driving between rampur & sitapur as 4 laning is going on & signages are virtually absent.add 1/2 hr for lunch & 1/2 hr through bareilly town. Anuj, please elaborate. How are Moradabad-Bareilly and Bareilly-Sitapur sections? Can these be done in night? How is it at Rampur? How much it is taking Delhi to Bareilly? Sorry for too many questions. -sitapur road constraction work is going on from rampur to sahjahanpur not advice to any body to go .single narrow road from sahjahanpur to sitapur and other factor all the heavy loaded vechles use this road to save toll and distance. i will go via kanpur to delhi than back to meerut. Delhi-Moradabad-Bareilly Part of NH24 is in great shape in four lanes almost throughout. I drove a return trip over 16 Hrs this week. All the problem spots have been bypassed vertically or horizontally. Work is ongoing on Rampur Bypass. Biggest treat is the hillishly picturesque Rampur Bareilly section which in four crispy black lanes from 4 km of Rampur to 15 Km of Bareilly. Both the major rail-road crossings have been overbridged. Milak is another work in progress but it did not trouble much. Best part was that three new toll plazas are yet to become operational. No Amitabh, it is the total absence from Delhi, which has about 4.5hrs journey time each way. I got this comment from narendra.sharma so putting it here. For Lucknow, Delhi-Agra-Kanpur-Lucknow is still a better route. Thank you for updating on Bareilly-Shahjahanpur-Sitapur. And yes, Rampur Bareilly is quite good now. Diversions are all single lane and with two speed-breakers in each on an average. And in Kanpur there is Rama Devi and then there is Unnao. On the other hand, DEL-MBAD-RMPR-BRLY is good. However, Barielly to Shahjahanpur is a bit patchy and Shajahanpur-Sitapur is BAD.. S’pur to LKO is good. I would say 350 kms of good road, 100 kms of average road and 50 kms of bad patches out of total 500 kms. Total journey time 9-10 hours. I live in Delhi and belong to Sitapur. I have been a frequent driver on on NH24, starting from from hatchbacks to Luxury Car now. I love to drive on this highway myself than my driver. Delhi- Barielly it is just 4 hours now but Barielly-Sitapur (about 170Km) was really bad till few months back (Big Potholes and bad patching). I am going there next week again. CAN SOMEONE GIVE ME THE LATEST UPDATE OF BARIELLY-SITAPUR STRETCH? i have to travel to Sitapur from Ghaziabad(my home town) on 8th Nov 2014.
i tried Train tickets but all are booked and looks like will have to drive all the way..
As yours are the most recent posts, I think some one of you can get me the best advice about travelling to Lucknow from Delhi. My first question is obviously, �which route to select�? Google map shows 3 options. Please note, my journey doesn;t end at Lucknow. I have to travel further to Tanda (another 250Km from Lucknow) and reach there by the end of the day. I will be traveling in my Scorpio. I will travel with my family including daughters and leaving early is not a problem. Please suggest me the best route to take (I will travel one day before Diwali) which will be the most comfortable and will take the least time. Hi friends, need to go to chandigarh from Lucknow. Or should I take a detour to Saharanpur and then to Ambala Chandigarh. I think best way to LKO is through Yamuna Exxpress to agra and then to Lucknow. It has many toll plaza but the road condition is quite good. I had visited though it to Kolkata. Whats the current state of the NH 24. I have a trip planned to Lucknow in the next 3 weeks. Take Delhi-Moradabad-Rampur is very good. Rampur-Sitapur is bad. Sitapur-Lucknow is very good. Rampur-Bareily should open soon. I would suggest that you take YamunaExpressWay-Etawah-Kanpur-Lucknow road. I am planning to go to Shahjahanpur from Delhi in this month. Can anyone please update on the road condition from Moradabad to Shahjahanpur. We will be travelling in Wagon R.
Travelled from Delhi to Lucknow on May 15th 2015. The road up to Bareilly is excellent. From Bareilly to Sitapur its hell. The highway is under construction. There is single road full of cycles, bullockcarts and slow moving traffic. From Sitapur to Lucknow its good highway again. Drove Lucknow to Delhi yesterday enroute Godda(Jharkhand)-Delhi. It was a complete mess from Sitapur to Bareily. I will advice everyone not to use this stretch. A wrong decision of not using Lucknow- Kanpur bypass- YEW-Noida-Delhi. The whole road from Sitapur to Lucknow seems to be very risky for day driving also. 4- lane widening in progress but in terms of maintenance of existing road it’s nil. Moradabad bypass is a fun driving. I got stucked in heavy traffic jam(nearly 15 km) near Hapur – Rajnagar road which killed approx. 3 precious hours. The journey from Lucknow started at 2:30 PM and reached my destination in East delhi at 4 AM. The road condition except Sitapur- Bareily is in good condition. I will update the whole iternary and detailed review of Godda(Jharkhand) to Delhi road very soon. I am planning to drive from Delhi to Lucknow next week, could any one update about road condition between Bareilly to Sitapur, is there any betterment on this? Secondly, what if i take Bareilly->Hardoi->Lucknow route? Is it better and safe? Any update on the highway please. Delhi – Bareily – Lucknow. Trip planned in the next 3 days – help solicited. Delhi – Moradabad – Bareily is good. Bareily – Sitapur is mixed (not a confirmed source). Sitapur – Lucknow is good. I am guessing that you have a reason to go via this route, else for Delhi-Lucknow, a much much better route is Delhi-Agra-Lucknow. Please update on road status after your trip. All the best. Delhi to Azamgargh which road will be the best Express way or Moradabad- Baraily Lucknow to Azamgarh.. ? Please take Delhi-Agra-Lucknow Yamuna Expressway and then the East-West-Corridor to Barabanki and then leave that road towards Akbarpur/Azamgarh. If you start early, you would be able to reach LKO in 6 hours and then another 4 hours to Azamgarh. Any updates on Sitapur-Bareilly stretch? I heard Shahjahanpur-Bareilly stretch is complete. Sitapur-Bareilly stretch, approx.170km, is still approx. 4 hours drive. While most of the road is built and paved on one or both sides, the hundreds of bridges under construction cause diversion after every couple of miles and the congestion + bad road quality on diversion points eats up a lot of time. 2 Railway crossing flyovers are still under construction but the bypass of Faridpur, Jungbahadurganj, Maigalganj, and Maholi are functional now which is a little relief. If driving in the night and visibility is not very good, be careful of the diversions and surprise potholes. What is the expected date of completion of this stretch? Now Lucknow Delhi highway nh 24 is much better than it used to be 4 -5 yrs back . delhi to hapur is 4 lane and work is going on to make it 6 lane expressway within an year it will be completed .hapur to bareilly road is entirely 4 lane with all bypasses made at towns .bareilly to Sitapur bypasss road is being 4 laned and work is about 80 percent complete.Road from Sitapur bypass to lucknow is pretty good and it is 4 lane .One can complete this entire stretch in 9 hrs distance is about 520 kms . Eateries are good at gajraula with a lot of options like Macdonald’s and KFC.toll is about 475 rs for one way.road from hapur to bareilly is excellent ,bareilly to shahjahanpur is average ,shahjahanpur to sitapur is little problamatic becoz of chaos.